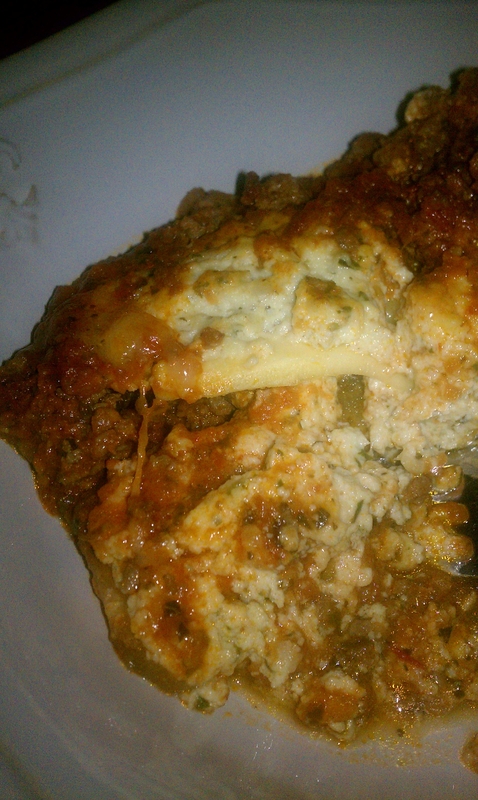 So, the other day I told you about how determined I was to conquer eggplant. Today, I’m going to tell you how the conquest continues. In my CSA box from The Farmer’s Daughter CSA (or TFD) this week, I received not only eggplant, but italian zucchini in abundance. I use them in so many ways in the kitchen. Typically, I use them shredded to stretch a pound of grassfed beef or to thicken soups and stews. Tonight, I used them in a new and interesting way. I used them as pasta. I know this is not a new practice, but it is the first time *I* have done it, so I am kind of excited. What made it more exciting is that I used the eggplant too. 🙂 I love this recipe because of its versatility. Not interested in using veggies? Use pasta. Vegetarian? Skip the meat. Vegan? Skip the meat, use cashew cream cheese and your fave cheese alternative. It’s a good base to start with and modify to your tastes. Love a meal like that. Also, I used some other amazing produce from my box to doctor up and stretch a jar of organic pasta sauce. 🙂 Let’s start there, shall we? 1.) It is a good “jumping off point”. All the right flavors are there, and we are just adding a few fresh ingredients to “freshen” up the jar and make it taste more homemade. 2.) I’m tired. It’s faster. The end. 2 TBSP good quality olive oil. 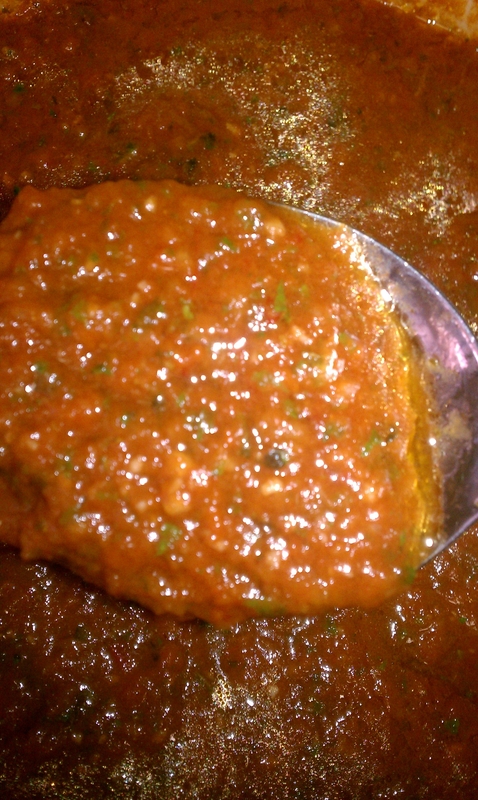 Brown the ground beef over medium heat until cooked thoroughly in a large soup/sauce pot. Remove meat and set aside. Quarter the onion, and the tomatoes, seeding them. 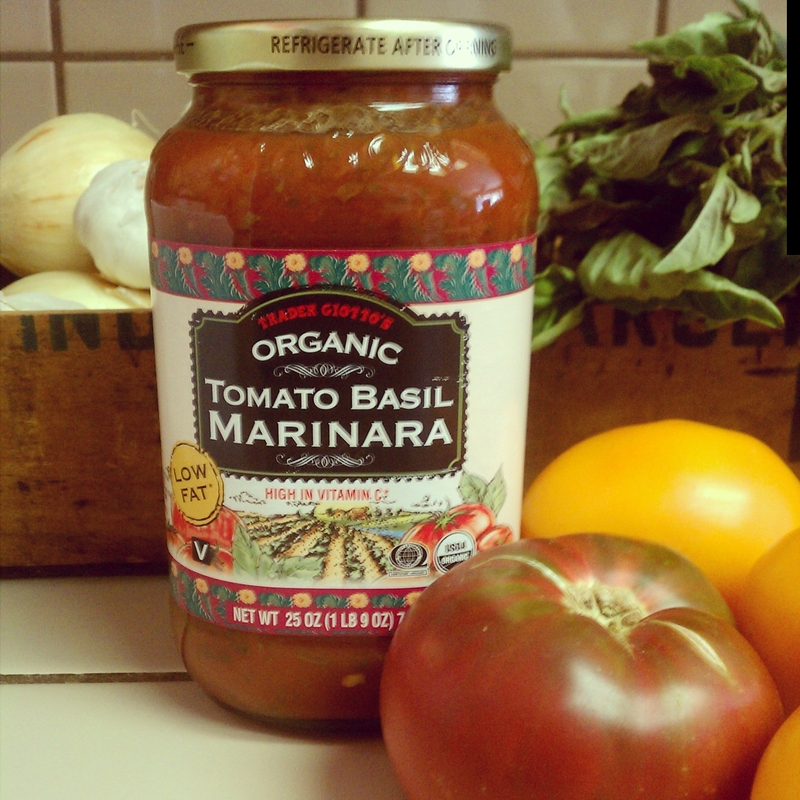 Add the garlic, onion, tomatoes, basil, salt, red pepper and italian seasoning to a food processor or blender. Pulse or puree until everything is combined the way you like it. I don’t like chunky sauce. You might. Do what makes ya happy. Heat the olive oil in the same pot you cooked the meat in. Once oil is heated up (but not burning..olive oil will burn rather quickly!) Add the sauce. Bring to a boil, then turn the heat down to low, and simmer with the lid on for about 30-45 minutes. Once it has simmered for 30-45 minutes, add the wine, stir to combine, then add back the meat. Allow to simmer another 20 minutes or so. While the sauce is simmering, prepare your cheese filling. You can use whatever cheeses you enjoy, but my go-to is a ricotta-based filling with fresh herbs, mozzarella, parmesan, & an egg. 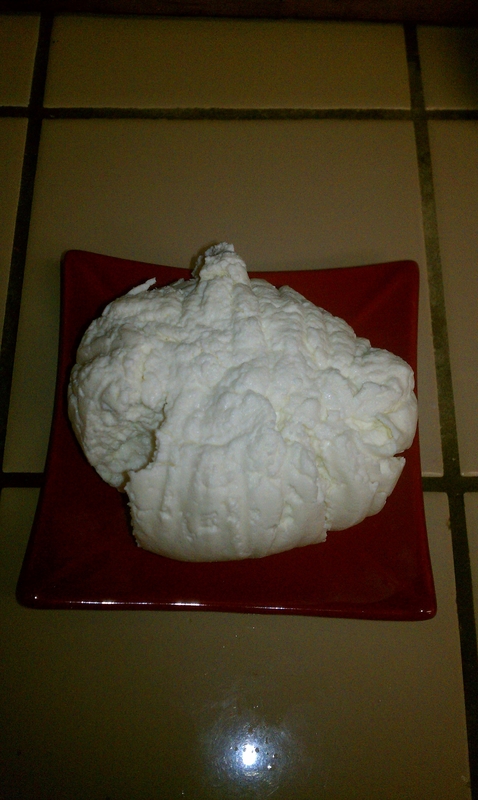 Of course, I realized this morning that I forgot ricotta cheese when I shopped last week, so I had to make some. It is really easy, believe it or not. The directions I followed are here. It turned out beautifully. See? Pulse (or blend) to combine. You want it to be creamy. 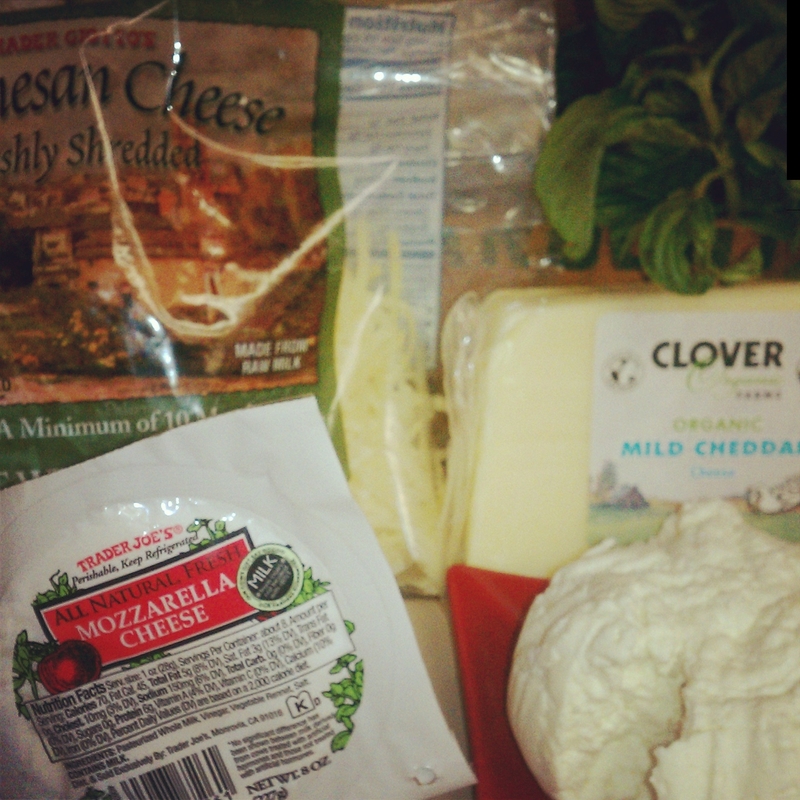 Once cheese in combined, put it in the fridge until you are ready to assemble. You sauce should almost be done now, so give it a stir, and then let’s get to preparing your “pasta”. Peel them, then slice lengthwise into 1/8-1/4 inch strips. They need not be uniform in length, but if you can keep the thickness uniform, it will help the outcome. Set those aside. Now you can turn off the heat on your pasta sauce and start to assemble the lasagna. Now, add a couple of large serving spoon-fulls of your amazing sauce over the top, and use the back of the spoon to spread the cheese out. 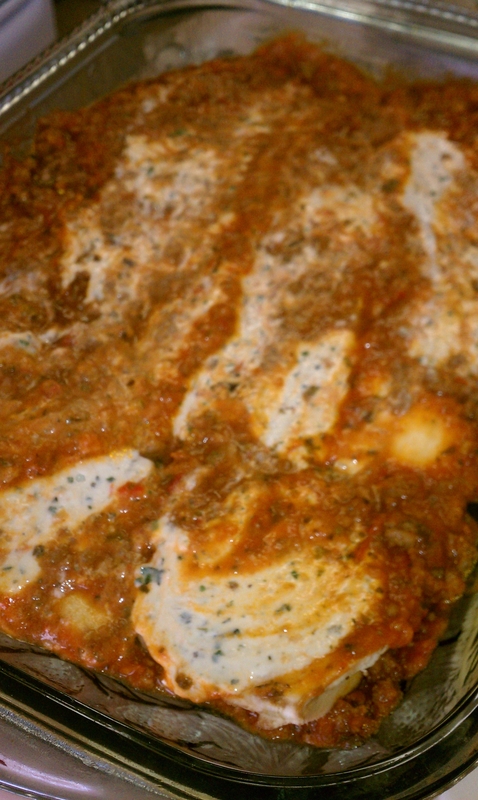 If you try to spread the cheese before the sauce is poured over it, you will just drag the cheese and “pasta” all over the pan. It does not have to be perfectly even. 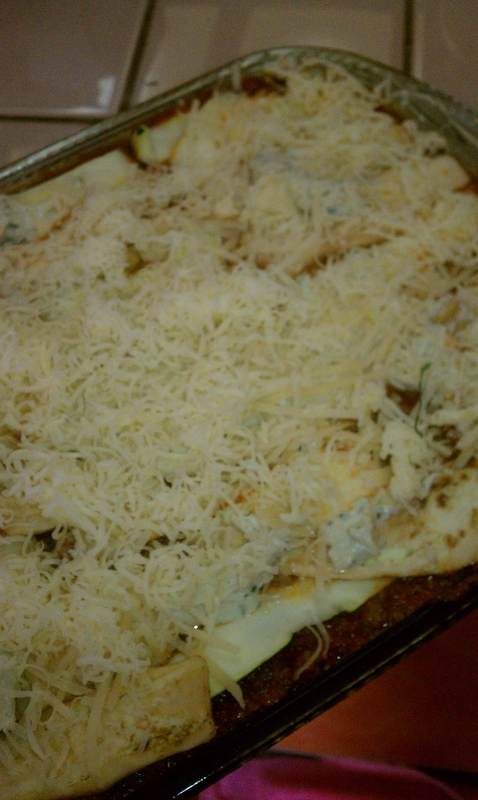 When it bakes, the cheeses will melt into the dish, and the whole thing will be amazingly cheesy. 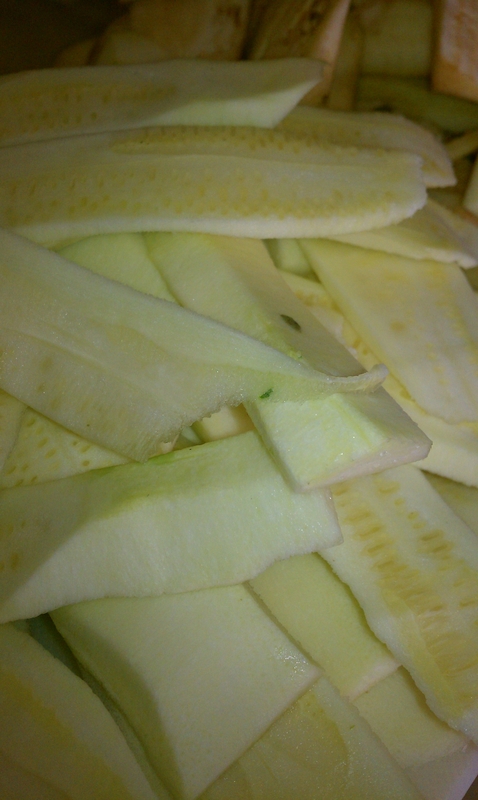 Repeat the process, using the zucchini strips now. 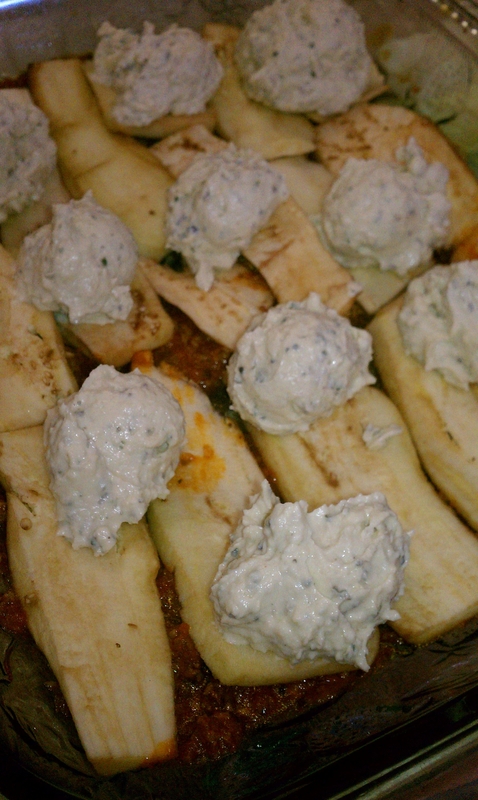 Zucchini, cheese dollops, the rest of your sauce and spread once more. If you are me, you then cover it in foil, put it in the fridge until dinner time, sit down, write the majority of this post out, and bake later. Also, don’t hurry to serve it. It needs some time to set up. We were overwhelmed by how good it smelled and sliced it bit early. It didn’t hold together, but we didn’t really care. The verdict? The sauce does not taste like jarred sauce was ever involved. The herbs are flavorful and add a certain lightness to the dish. It was tasty. The hubs said it was “bomb.” This is saying something…he can be hard to win over, especially with these “replacement” type meals. I hope you’ll give it a shot, it was worth the effort!